In the modern health care industry, disease prevention has taken a commanding role as screenings and regularly scheduled physician visits aim to minimize costs that could otherwise spiral out of control once a chronic condition is established. However, the Centers for Disease Control and Prevention report an ongoing concern that Americans are using preventive services at about half the recommended rate (http://ibn.fm/5IfsA). 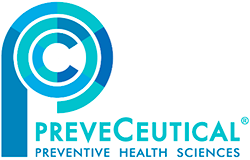 British Columbia-based PreveCeutical Medical Inc. (CSE: PREV) (OTCQB: PRVCF) (FSE: 18H) was founded on the principle that prevention is the best policy in health care and that nature and science may combine to provide an array of innovative, untapped solutions to otherwise unmet clinical needs. PreveCeutical is taking a new look at ways to combat chronic health concerns such as diabetes and obesity, pain management, neurological disorders and cancer. PreveCeutical developed its CELLB9® oral dilute solution utilizing select peptides from the blue scorpion, which is found only in the Caribbean region. PreveCeutical’s “Nature Identical” research team is building on proprietary chemistry to produce controlled venom peptides that it hopes will be able to halt the progression of cancers, while also exploring the peptides’ potential in responding to other medical concerns related to metabolic disorders, pain, cardiovascular disease and infectious maladies. During 2017, the company entered a partnership with UniQuest Pty Limited that directs UniQuest to conduct research programs at the University of Queensland in Australia on PreveCeutical’s behalf. The partnership identified development programs for four therapies. One of those is aimed at assessing pain and inflammation models with the idea of developing non-addictive analgesics for moderate to severe pain. The three-phase research project was expected to last up to 24 months under the terms of the research and option agreement (http://ibn.fm/MXC9z) with the goal of identifying the scorpion peptides and a means of replicating them in a laboratory, rather than having to rely on milking the scorpions for their venom, then screening the peptides in various disease models of interest. PreveCeutical is also developing a proprietary gel application, called Sol-gels, for delivering a CBD-based medical cannabis formulation directly to the brain. Sol-gels are taken via nasal (systemic) administration and rapidly gel upon contact with mucosal tissue, which paves the way for direct nose-to-brain delivery. This effectively bypasses the stomach and intestines – eliminating first-pass metabolism – and may dramatically improve bioavailability, even compared to nasal sprays and other newer delivery systems. Additionally, the gel stays in the nasal passages, slowly releasing the CBD while keeping it active for up to seven days. The ease of application and its long-lasting effects may be attractive for patients when compared to other delivery systems. The company’s four-year program targeting diabetes and obesity seeks also to engineer a therapy that recognizes a gene common and overactive in the two ailments. The therapy would “silence” the gene — turning it off to prevent the overproduction of a protein molecule believed to play a role in the declines commonly associated with diabetes and obesity. Successes in these endeavors would solidify PreveCeutical’s efforts to become recognized as a pioneer in preventative medicine and increased quality of life factors. This entry was posted in PreveCeutical Medical Inc. PRVCF on January 19, 2018 by QualityStocks.